The so-called Islamic State (IS) militant group has released photos of its members smashing antiquities taken from the ancient Syrian city of Palmyra by a smuggler who was reportedly later whipped for his thievery. In a statement released on social media late Thursday, the group accused the man of trying to sneak six carved busts through the northern Syrian province of Aleppo. He was captured at a checkpoint in Aleppo's Wilayat region, the group said. "The guilty party was taken to an Islamic court in the town of Minbej, where it was decided that the trafficker would be punished and the statues destroyed," the statement read, according to a translation by Al Jazeera. 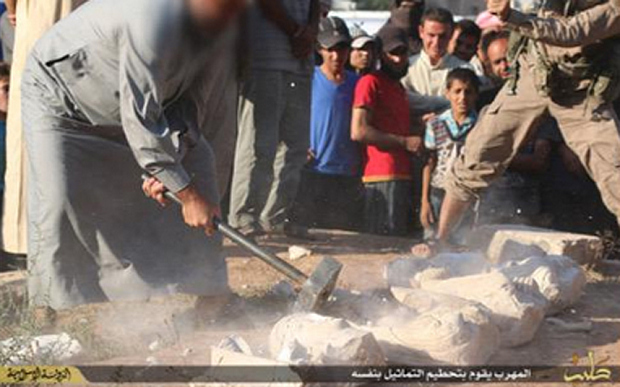 The photos show militants smashing the relics with sledgehammers in a public square. One reportedly shows the accused smuggler being whipped. Since IS took control of Palmyra, a 2,000 year old UNESCO World Heritage Site, in May, officials have feared the group would continue its wrecking rampage of ancient ruins throughout Syria and Iraq. The militants, believing that the shrines amount to idol worshipping, have destroyed a number of sites across the region, taking sledgehammers, dynamite, and even drills to antiquities and artwork that are centuries old. The group has also been accused of smuggling some artifacts to fund its war effort. Officials said this week that one of the pieces the group destroyed was a 2,000-year-old lion statue in Palmyra. The limestone statue known as Lion of al-Lat was first unearthed in 1977 at the temple of al-Lat, a pre-Islamic Arabian goddess, by Polish archaeologists. "It's the most serious crime they have committed against Palmyra's heritage," Maamoun Abdulkarim, the head of the Syrian government's Antiquities and Museums Department, told the AFP. Over the last two months, IS militants in Iraq have also severely damaged at least two UNESCO heritage sites: the 3,000-year old site at Nimrod and the 2,000-year old site of Hatra. In February, the group released a video on social media showing militants smashing archeological artifacts at Mosul Museum. 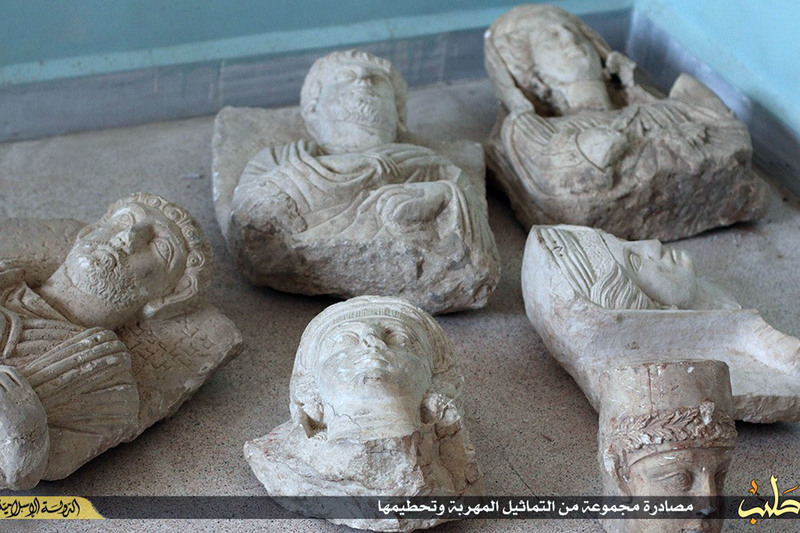 On Wednesday, UNESCO officials once again accused IS of "cultural cleansing." "Violent extremists don't destroy heritage as a collateral damage, they target systematically monuments and sites to strike societies at their core," UNESCO's director-general Irina Bokova, said at an event at London's Chatham House.